After the rest in beautiful St. John, we can continue our trip - big lands of Canada are waiting for us. However, before leaving the town it’s worth to devote a little bit of attention to its charming architecture and nature. Walks along the Bay of Fund, observing the birds, and watching the waves crashing on the shore will soothe everybody. Walking paths of Irving Nature Park, a ravine of the St. John’s River that was created by water, or Stonehammer Geopark recognized by UNESCO as the geological heritage are the places which you simply have to see. Another attraction of the city is the Three Sisters Lamp (Reed's Point or Three Lights) located at St. Patrick's Square, at the end of Prince William Street. It’s not a simple street lamp – it serves as a navigation for ships returning to the port. The lighthouse stands in the direct line which connects it with the Trinity Church. When the sailors see all three lights, they know that they’re heading in the right direction, but if they see only two or one, it’s a sign that they need to set the correct course. Historic Trinity Church is a beautiful, steeple building with a green tower and front door with red framing. It amazes both with its façade and richly decorated interior. Another, but maybe not as charming as the Church, but certainly an interesting attraction, is Carlton Marcello Tower. It’s a place with a magnificent view of the city, the bay and Partridge Island with its picturesque lighthouse. While visiting the Tower you have a chance to see an audio-visual presentation, as well as interesting exhibits in the section for tourists. Our next stop is Fredericton, about an hour away from Saint John. The city's architecture is an eclectic mixture of styles - from classical Victorian, characteristic for local mansions, to modern office buildings. Multicultural society is a result of the influx of a large number of students ( there’re three universities in Fredericton), and cosmopolitism of the resort is well reflected by the local cuisine. Visitors can try food straight from the Caribbean, Mexico and India, but also Italian, Japanese and Vietnamese cuisine. The city is also full of cultural attractions. The enthusiasts of museums and art galleries should definitely go to the New Brunswick College of Craft & Design, but places such as the Beaverbrook Art Gallery or York Sunbury Museum (also known as the Fredericton Region Museum) are equally worth seeing. Among the exhibits is, for example, a hundred years old cake and a rich collection of Victorian dresses. In turn, in the gallery you can see the masterpieces of world famous artists such as Gainsborough, Turner, Krieghoff and Salvador Dali (gallery holds his painting "Santiago el Grande"). After several hours of driving along St. Lawrence River, we arrive at the end point of travel, which is the capital of the province of Quebec. The city of the same name is the second largest (after Montreal) center of the region. One of the metropolis attractions are the ramparts surrounding the city. Vieux-Quebec are the only remaining fortified city walls north of Mexico. 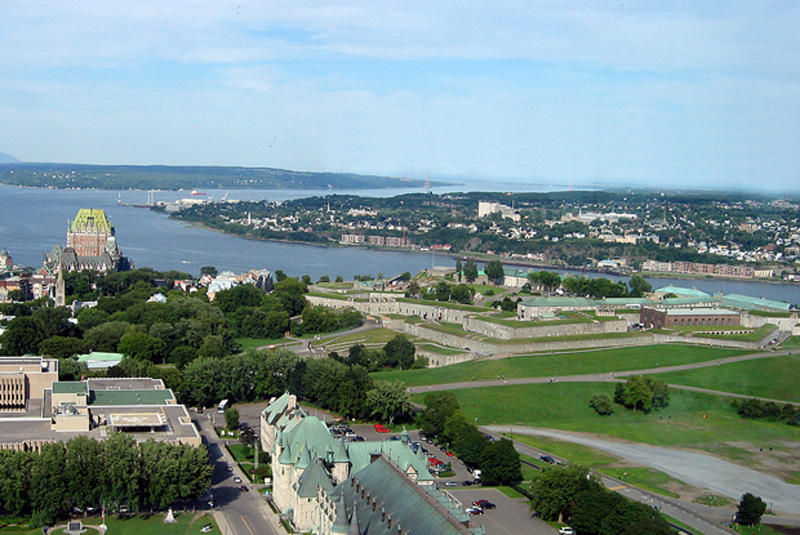 The ramparts were declared a World Heritage site by UNESCO in 1985, as the Historic District of Old Quebec. The second very interesting place is the Château Frontenac. Big, almost monumental building focuses the attention and many associate it with Wawel Castle, and sometimes even with the Kremlin. This gigantic structure with a large number of towers is one of the most exclusive and luxurious hotels in Canada. Apparently, it is one of the most photographed hotels in the world. Even if that's true, it's perfectly understandable – it’s simply mind-blowing. Name of the city is derived from Algonquian language (Anicinâbemowin), which was used by indigenous people of Canada, and means "where the river narrows". Quebec is located on the north bank of St. Lawrence River, in the final section, so-called estuary (extended mouth). On one hand there’s water, on the other – mountains. The city has been very generously endowed by nature with a diverse landscape. North of Quebec there’s Laurentian mountain range, which attracts skiers end raw spaces enthusiasts. Several ski resorts are opened here, including the popular Mont-Tremblant. 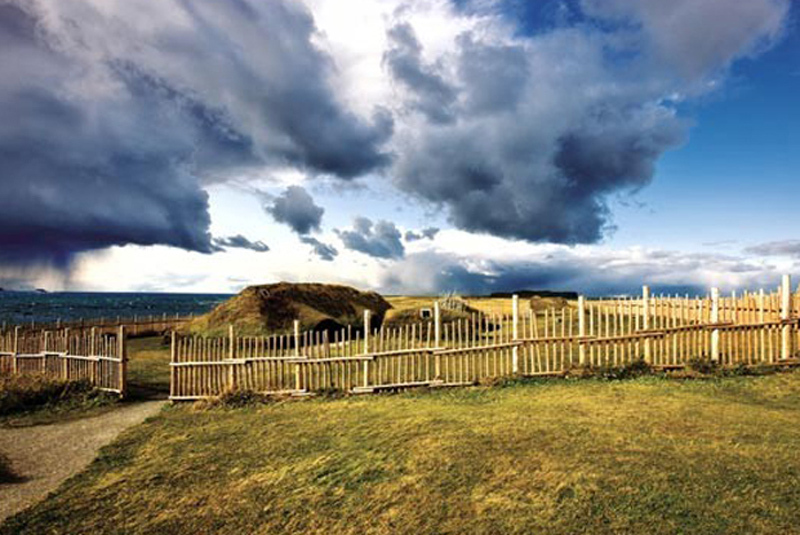 However, Quebec itself lures both the enthusiasts of monuments and modernity. The biggest bracket bridge in the world (549 meters) is located here, called the Quebec Bridge. It was created in 1919 and placed across the river to connect the city with Lévis. Since we’re in Canada, we cannot forget about the national sport - hockey. The city is working on the construction of a huge New Colisée (The New Quebec City Amphitheatre, also known as Quebecor Arena). The opening of the hall is planned for 2015, and the city authorities expect that the building will help them to become the host of the Winter Olympics. Now Quebec organizes many sport events of smaller format, such as the Bell Challenge (women's tennis tournament) or the cycling race Tour de Quebec. There are about 750 campsites in the province, so it’s pretty a lot to choose from. Stopping by the Camping Parc National de la Jacques-Cartier les Alluvions (Km 74, Route 175, Stoneham-et-Tewkesbury) will be a good choice. The prices for accommodation oscillate between $ 20.25- $34.85 per person, and the pitch for the vehicle costs $ 22. The surroundings are amazing - every tourist is delighted by vast mountain plateau, lands of coniferous forest and deep valleys, in turn covered with deciduous trees. Among this picturesque scenery you can do many sports, such as cycling, canoeing or mini rafting. Fishing enthusiasts will also find some quiet corner. It’s a place where you’ll feel right in Canada. The advantage of the campsite is its close proximity to the city – you can get there in less than half an hour. In such beautiful scenery you can spend at least a few days. The next stop of our trip will be Montreal, but before that we will rest in the vicinity of the Laurentian Mountains Nature Reserve (Réserve faunique des Laurentides). Such opportunity may never happen again. 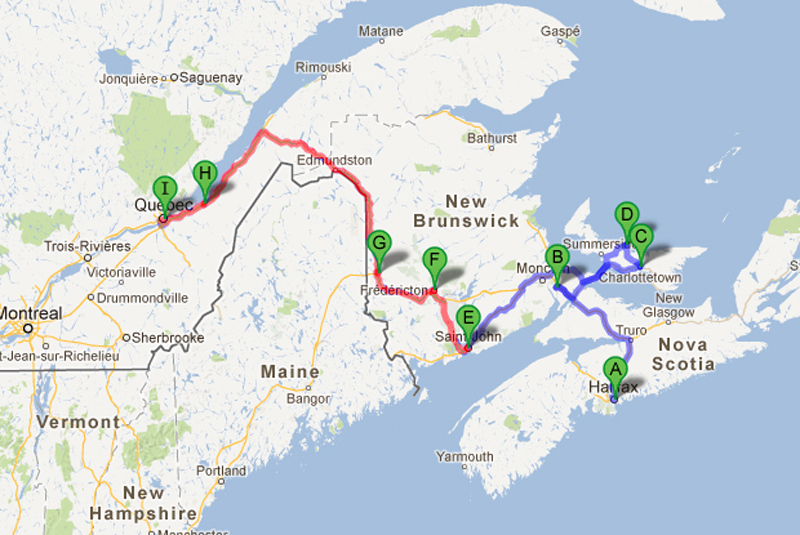 The route from Saint John to Quebec City is 709 km. Next stop Montreal!